Saint Mauritius was esteemed during the time of the Ottonian dynasty (Ottonen). He was considered the owner of the Holy Lance, which is why this lance is also called Lance of Saint Maurice. The Holy Lance is now on display in the Vienna Treasury. 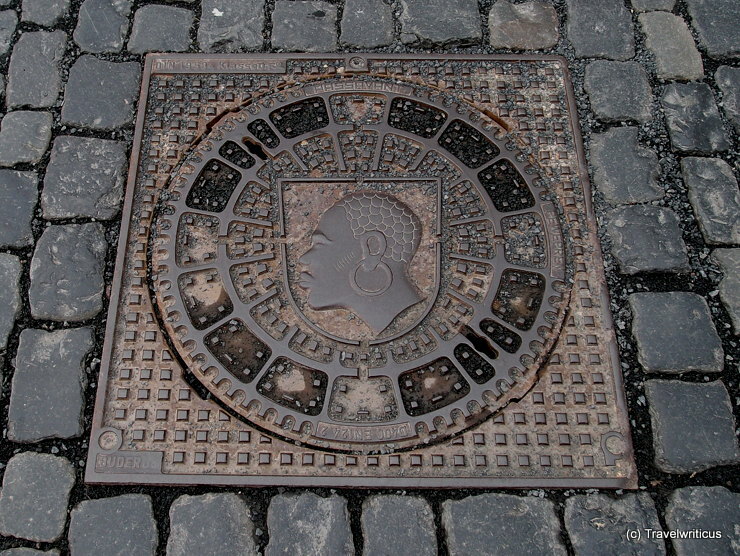 This entry was posted in Coat of arms, Manhole Covers and tagged Bavaria, Coburg, Franconia, Germany, Upper Franconia by Travelwriticus. Bookmark the permalink.